We are days away from the launch of the Mi 8 and thanks to various leaks and rumors, we already know a lot about the flagship. The latest detail about the phone has been shared by Qualcomm. The chip giant says that the Xiaomi Mi 8 will support Quick Charge 4.0+. 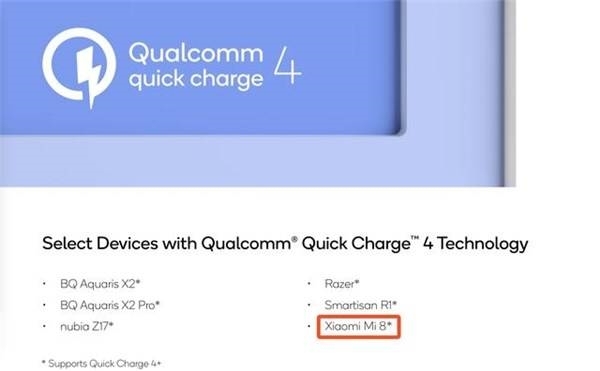 Qualcomm confirmed this on its dedicated Quick Charge 4.0+ page. This revelation is hardly surprising as the FCC has previously reported that the Mi 8 will support the 5V/3A, 9V/2A, 12V/1.5A quick charge protocols and the maximum output would be 18W. Hopefully, the Mi 8 will also be able to ship come with a capable charger that can fully utilize the dedicated Quick Charge 4.0+ standard or customers will need to purchase this accessory separately. 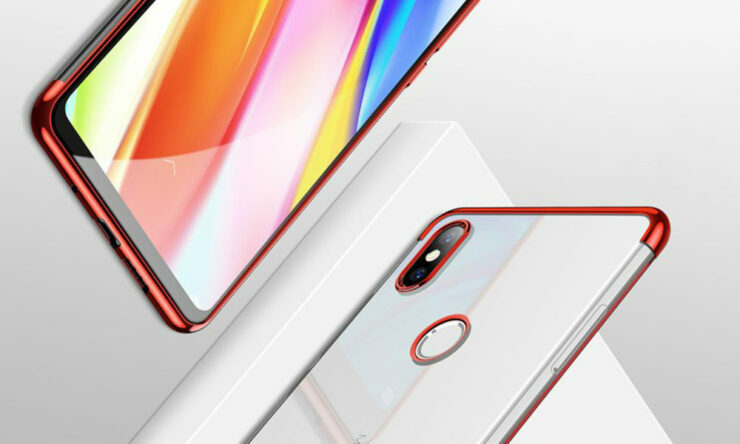 According to earlier leaks, the Xiaomi Mi 8 will have an in-screen fingerprint scanner as well as a 3D face unlocking system. The phone is also said to have a translucent back plus a 6.2-inch Full HD+ display with a resolution of 2,280 x 1,080 and an aspect ratio of 19:9. The phone will be powered by the Snapdragon 845 and its base model should have 6GB of RAM and 64GB of internal memory. According to some reports, Xiaomi will also release an 8GB RAM variant for the Mi 8. The phone has a dual-camera at the back with a configuration of 20MP + 16MP while the front camera will be a 16MP sensor. The phone will ship with Android 8.1 Oreo and the MIUI 10 will run alongside it. The phone will have a 3,300mAh battery capacity and is said to be around 7.8mm thick. Qualcomm’s Quick Charge 4.0+ has all the features that QC 4.0 accompanies with but there are some improvements added. Quick Charge 4.0+ is nearly 3 degrees cooler, up, 30 percent more efficient, and 15 percent faster. As for the release date of the Mi 8, that is going to be May 31.